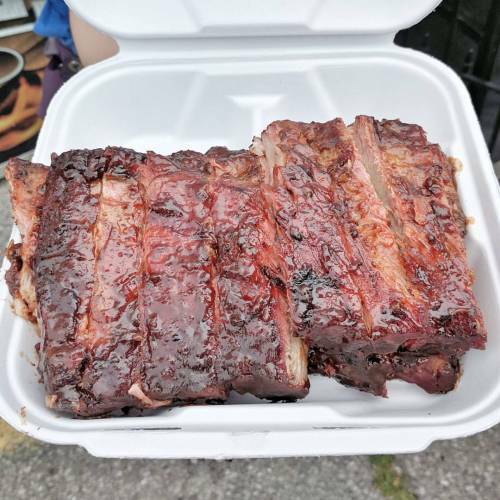 I had the pleasure of attending the media tour on July 8, 2016 for Markham Ribfest that took place in Markham Civic Centre thanks to Sweven Media. We got to try all the Ribbers and most of the food trucks available. 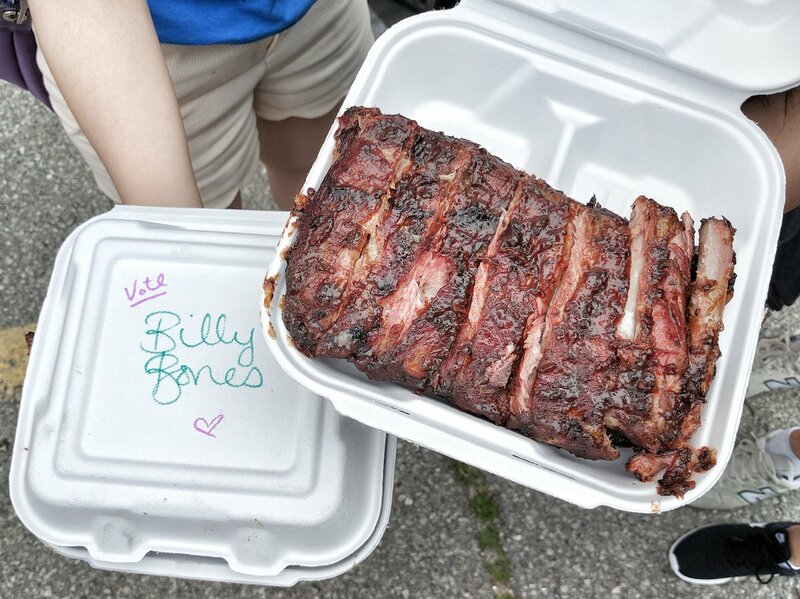 My favorite ribs was hands down Billy Bones BBQ! 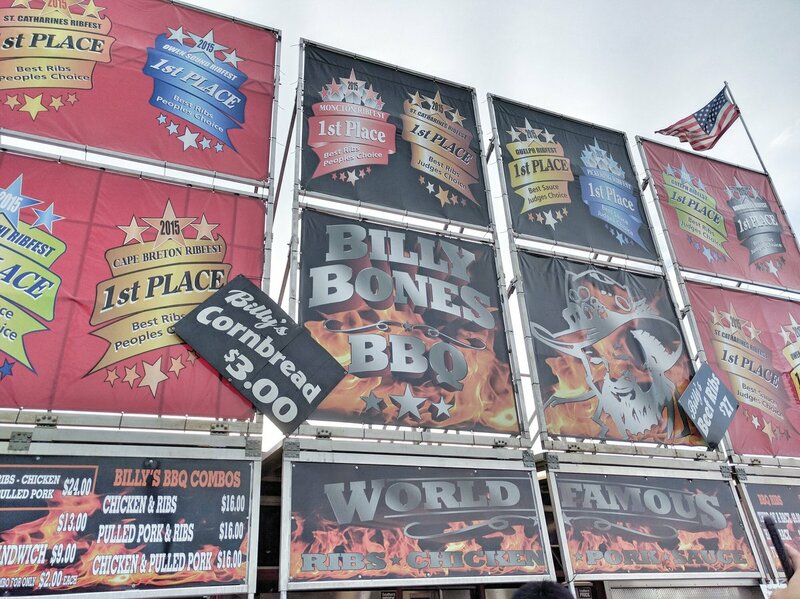 They had the most tender fall-of-the-bone ribs that the other Ribbers just wasn’t able to do. 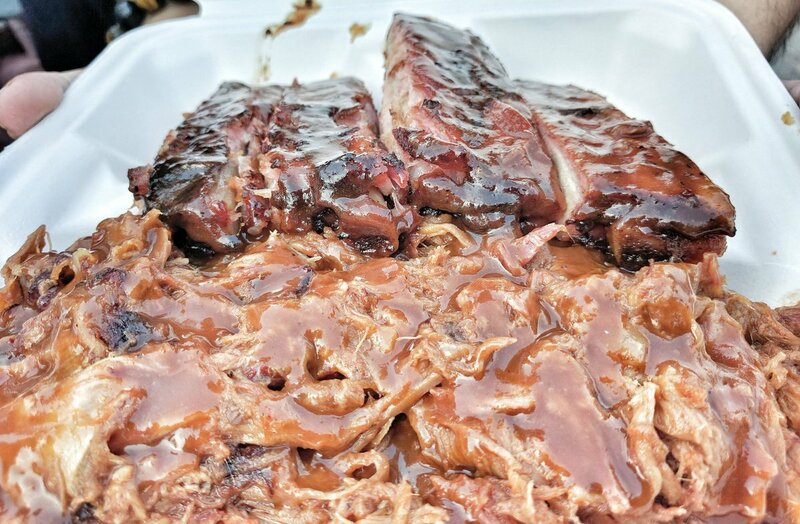 Gator BBQ’s pulled pork was amazing – tender and flavourful pork with some fattiness to it. Brickyard BBQ’s Jerk Chicken was an eye-opener. Most juicy and tender chicken I’ve had. And the jerk spiciness was flavourful with the perfect amount of spice. 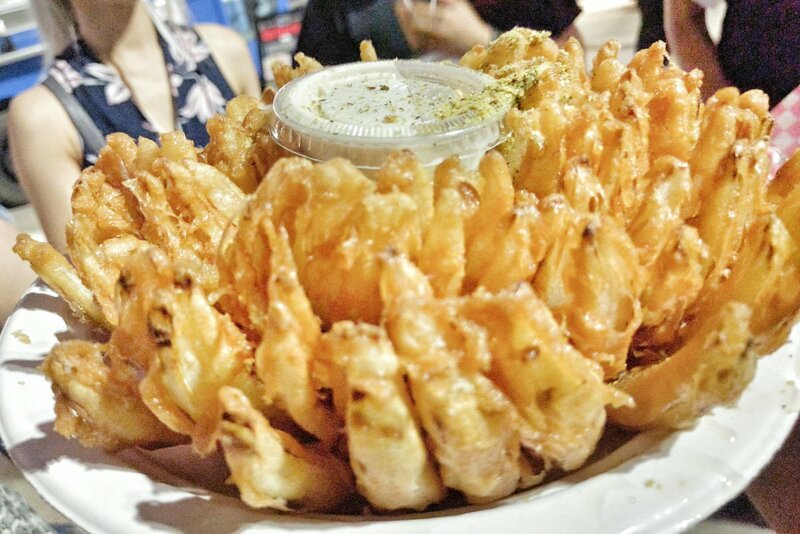 I always cannot get enough of Blooming Onions. It’s one of my favorite festival foods as I like onion rings in general. 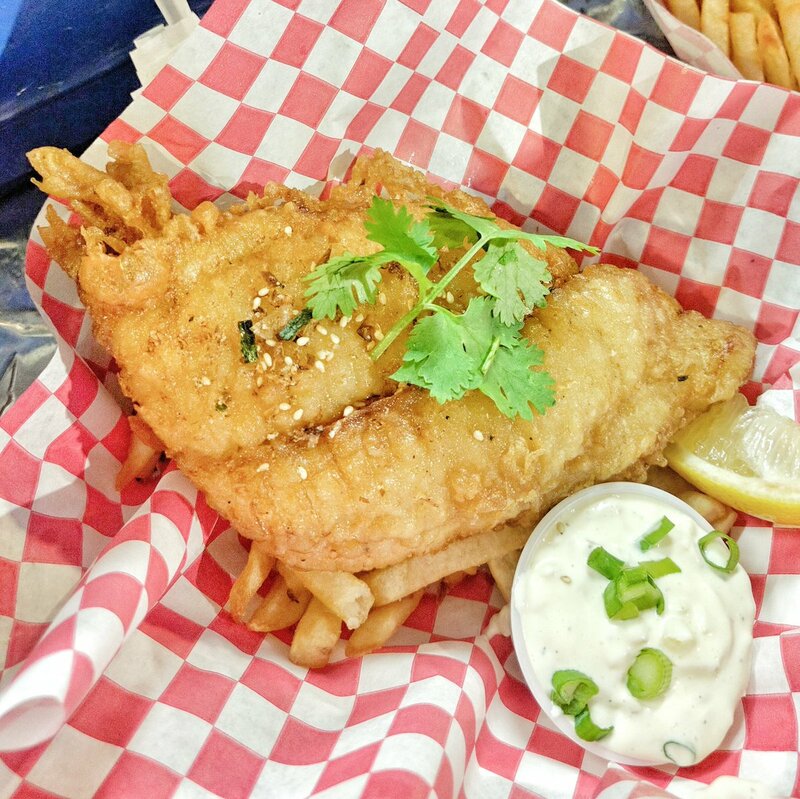 – Koi Food Truck’s fish and chips was so good! Sapporo Beer battered, the fish was perfectly cooked with crispy batter. I loved that the batter had a strong beer taste. 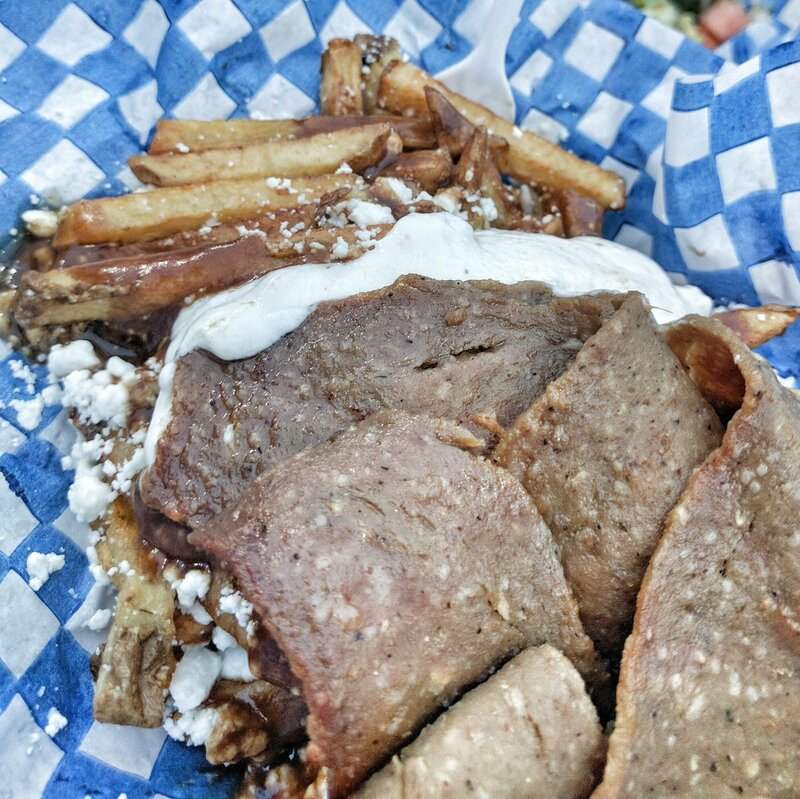 – Pappas Greek On Wheels’ Florina Fries (Fries with Feta, Gravy, Gyro Meat and Tzatziki) was a great mix! It’s like eating a gyro sandwich as a poutine. – Ontario Corn Roasters’s Corn on the Cob was one of the juiciest and sweetest corn I’ve had. And love the spice they added on the corn. 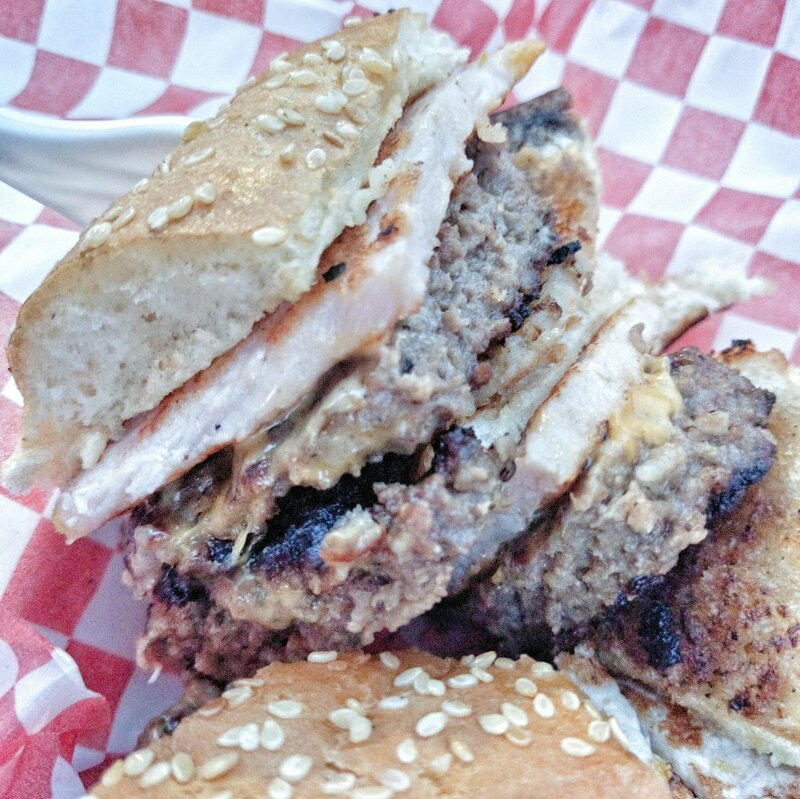 – Mustache Burger impressed me with the double layer burger I got to try. The patties were so juicy and flavourful, and had a thin bun. DISCLAIMER: Though the food and drinks were provided complimentary as part of the media tour, the opinions in this post are my own. Posted on July 9, 2016 by Travelling FoodiePosted in Canada, Food, Markham, OntarioTagged events.